In 1970 the painter and printmaker Pamela Scott Wilkie drove overland to Asia from the UK through Turkey, Iran, Pakistan, Nepal and remote parts of Afghanistan. She set up a studio in Rawalpindi where in 1972 she produced a suite of 20 screenprints inspired by the landscapes, monuments and people she encountered in the course of this journey. 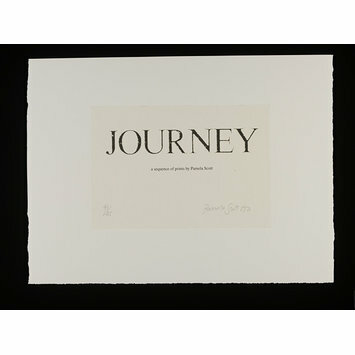 This suite of prints, Journey, is powerfully evocative of the climate and colours of the places she passed through; they also chart an aesthetic journey, as she developed a very individual style in the process of producing these hand-pulled screenprints; with their use of translucent layers of pigment they have the vibrancy and delicacy of watercolours. 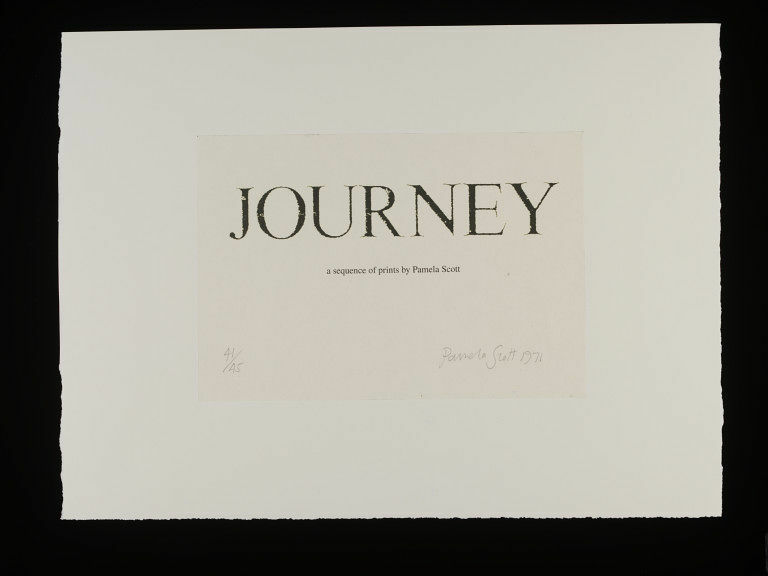 Pamela Scott Wilkie: Title page from 'Journey', 1972, a suite of screenprints.